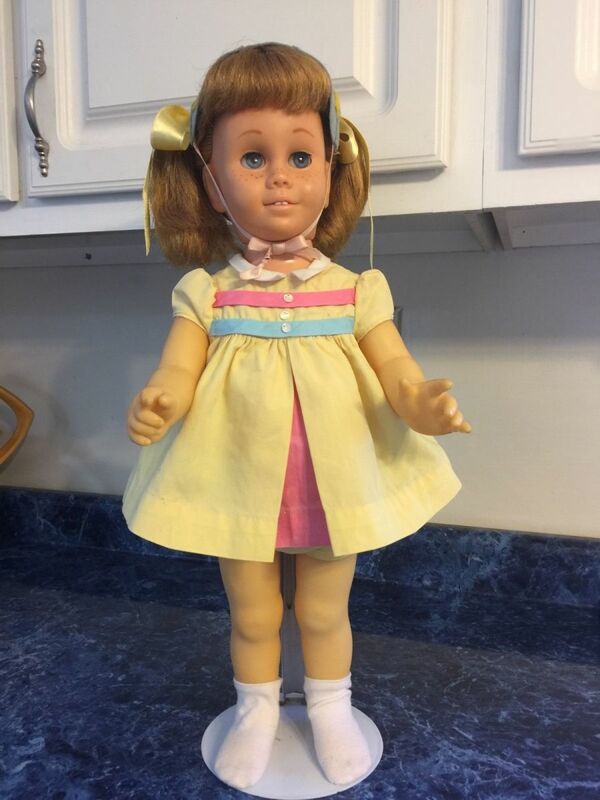 I remember the Christmas my parents got my older sister her first Chatty Cathy Doll, she was a remarkable pull string "talking” little girl doll that was manufactured by those masters of childhood dreams at the Mattel toy company in California. These amazing dolls were manufactured from the bebop year of 1959 to swinging year of 1965. 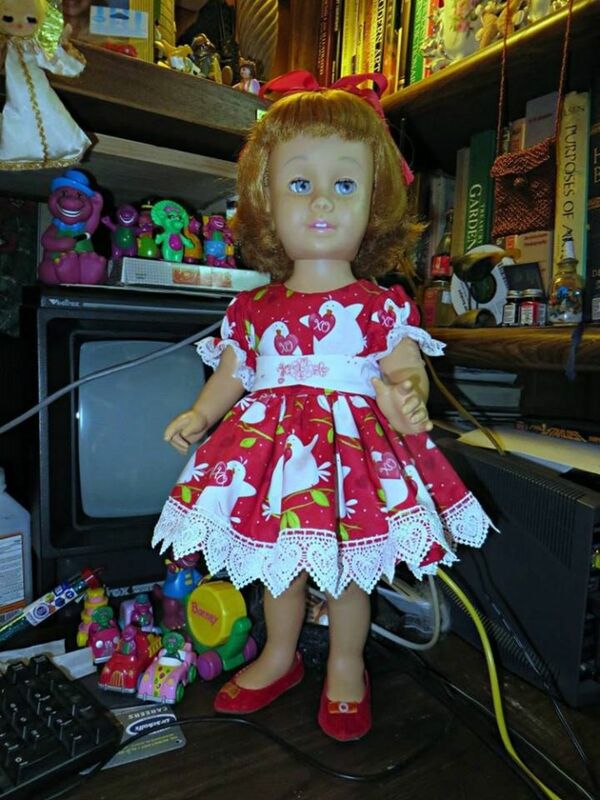 I remember when the Chatty Cathy doll was first released in department stores, my parents bought my sister’s first one at the Harvey’s Department Store in downtown Nashville, she was in the large display window in a Christmas wonderland, sitting in a highchair, she was a strawberry blonde prototype. She was one of the first models, the blonde, and strawberry blonde’s prototypes. These were the dolls that first appeared in Chatty Cathy television commercials beginning in 1960. 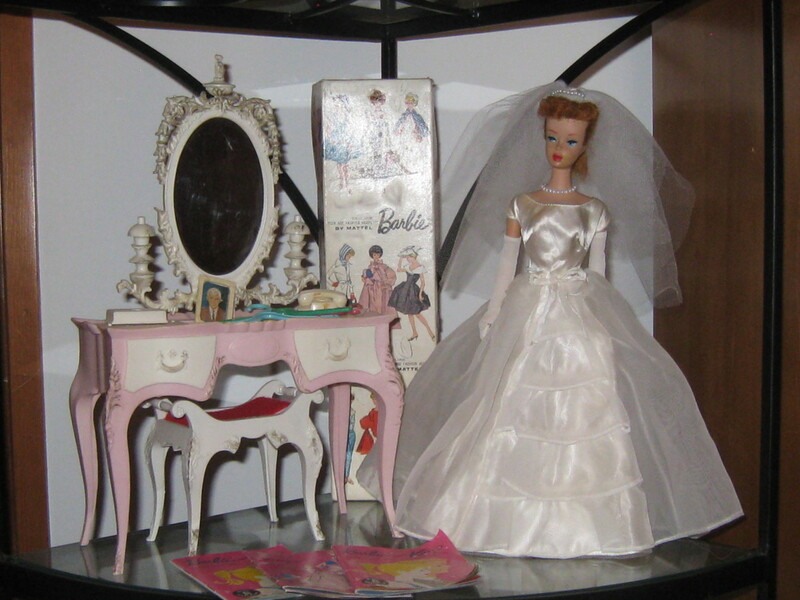 The amazing thing was that Chatty Cathy was on the market for well over six years, and was the second most popular doll among the young girls of American dream world of the 1960s, Chatty was soon to be in the shadow of her more mature and streetwise older sister the Barbie doll she was also made at the dream factories of Mattel. 1960 Chatty Cathy, she is a prototype, with strawberry blonde hair, and blue eyes, with the Mamie Eisenhower flip hairstyle, bought right out of the Harvey's Department Store window before Christmas back in 1960, she even had her own highchair. My sister already had her blonde ponytail Barbie. She would dress her Barbie up like Jane on Tarzan, and let her swing form end table to coffee table in my mother’s pristine living room. Chatty Cathy was much different, she sat at the dinner table, the breakfast table was treated as a little sister also she talked, and talked and talked. 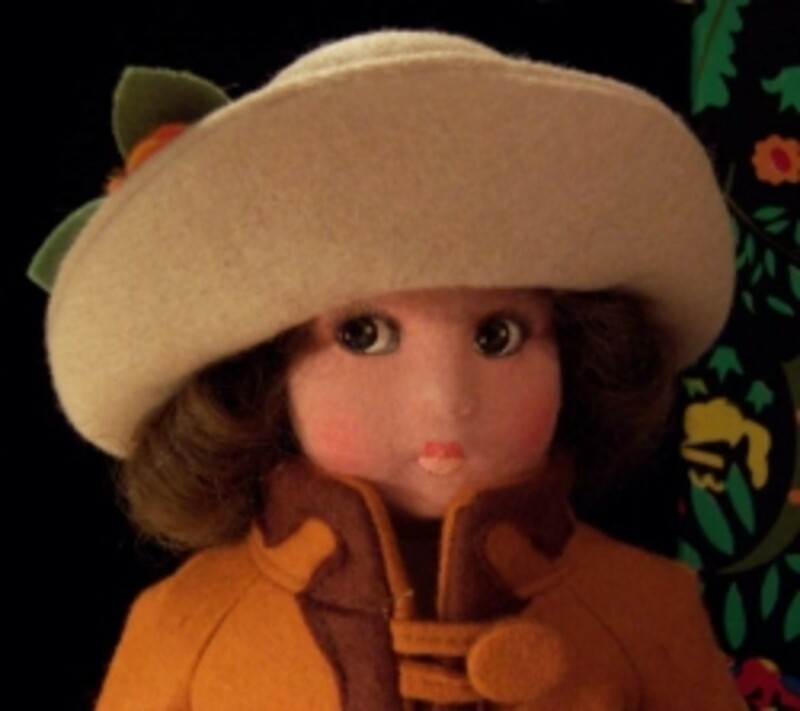 Chatty Cathy had a fanciful depiction of a sweet little mischievous girl. She sometimes seemed more kind and human than my sister. She never would hit me, or say cruel nasty things, and she more like a friend than a sister. She was the prefect little sister that never got me into trouble. 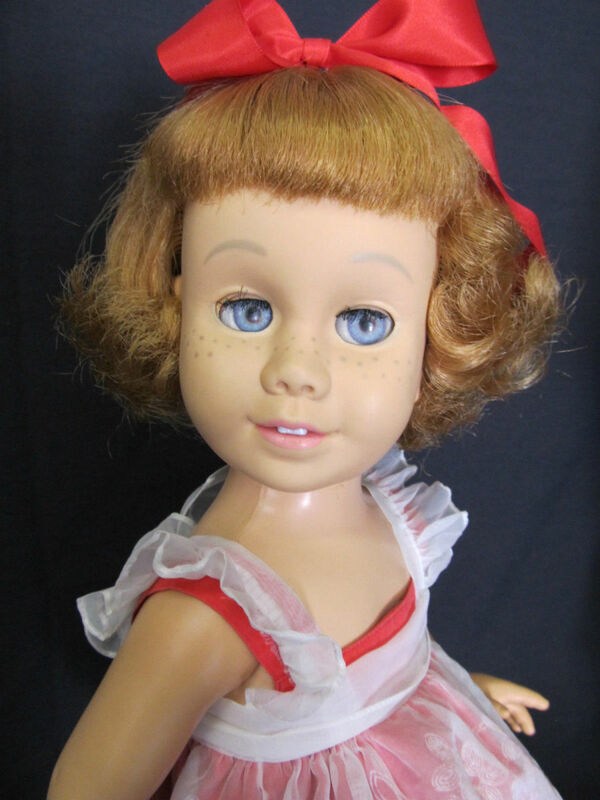 The early Chatty Cathy dolls had blonde to strawberry blonde hair in a short Mamie Eisenhower bobbed cut style and she had the most amazing detailed blue eyes. She has clean, shiny strawberry blonde hair in a "flip" hair style (hair definitely has a reddish cast, see outdoor picture), blue sleep eyes with all lashes intact, the usual freckles, pink lips and 2 teeth. 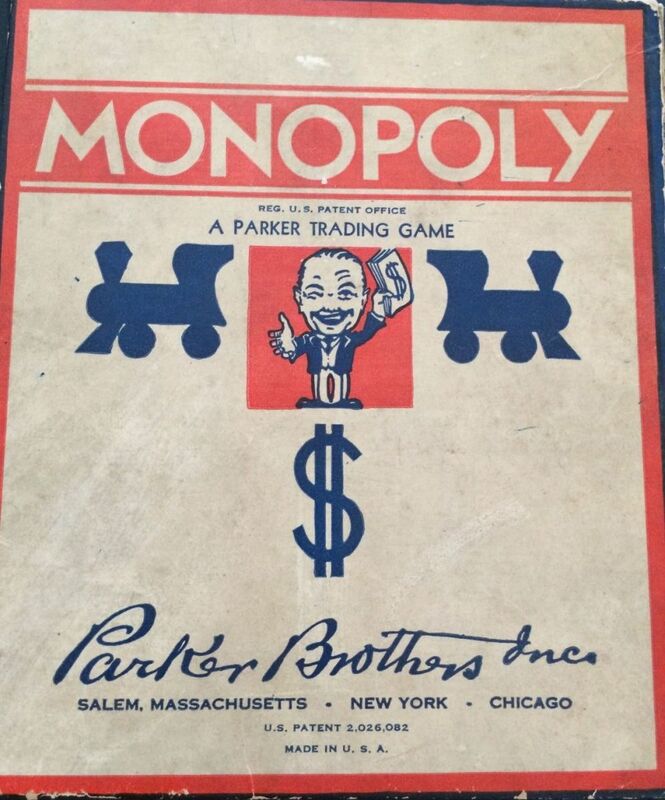 The first Chatty Cathy that is shown in the photo above was created by Mattel in 1959. 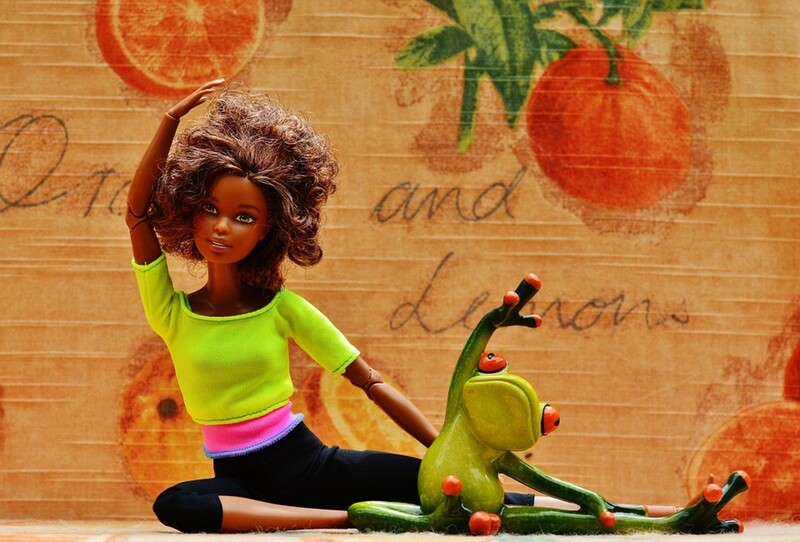 She was one of the first body models created for the Chatty Cathy dolls line of dolls, and dolls with this type of body are called, and know as prototypes. These Dolls have cloth material covering the speaker holes on their tummy. These Chatty Cathy also has no markings on their backs, that is the hallmark of all prototype Chatty Cathy's make that first remarkable year. This Chatty Cathy is a world traveler she has seen a lot of history in her 57 years on this old world. She wears an original red Chatty sun suit with the ruffles on the but under an original white nylon pinafore with a matching red underskirt. Later my sister got a Brunette and my cousin Karen had an auburn haired versions of the Chatty Cathy doll. But these newer hair colors were not introduced into the line of production until much later. The Brunette Chatty Cathy came out in the year 1962, and auburn haired Chatty Catty came out in the year 1963. With the civil rights movement in full swing in the early 1960s thankfully an African American Chatty Cathy came out with a brown skin tone during these same years. 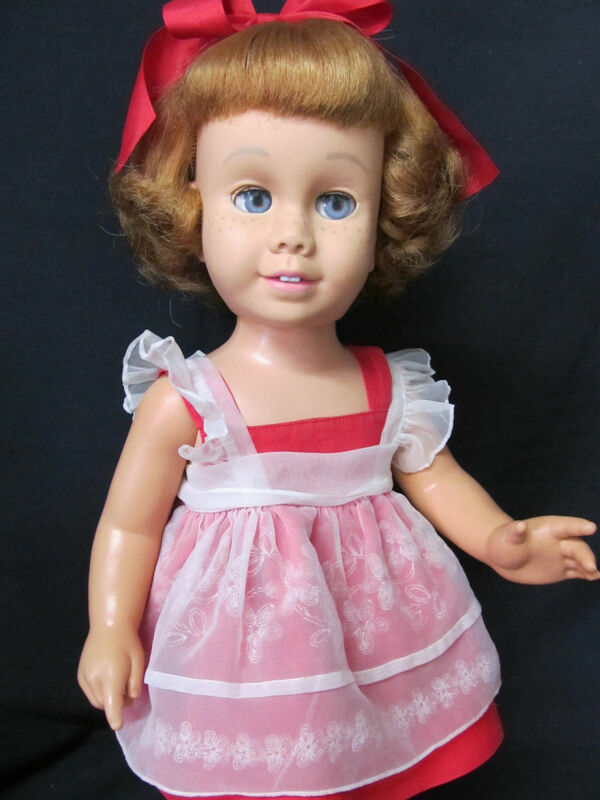 My sister got her third Chatty Cathy in 1963, she was also a strawberry blond like the first one, but had two long ponytails and a school girl hat that she would wear with her preschool going to school dress. It was as if she was going to walk to kindergarten with my sister. Needless to say the first one was the one I remember best, she was put together better than the 1963 model, her legs and arms all had the same skin tone as her head, and there was more attention to detail in her face and fingers. 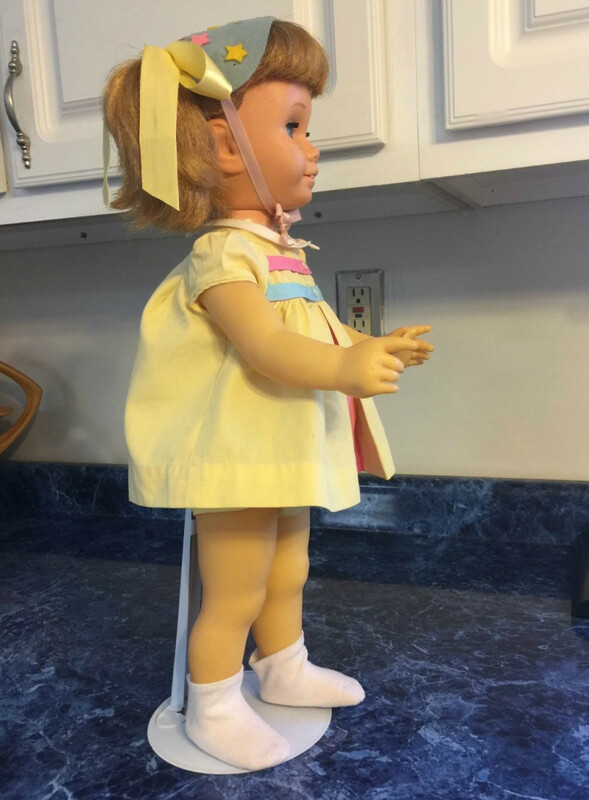 Chatty Cathy the Talking Doll, came with a Story Book and Accessories ... She was the complete little playmate for young girls. 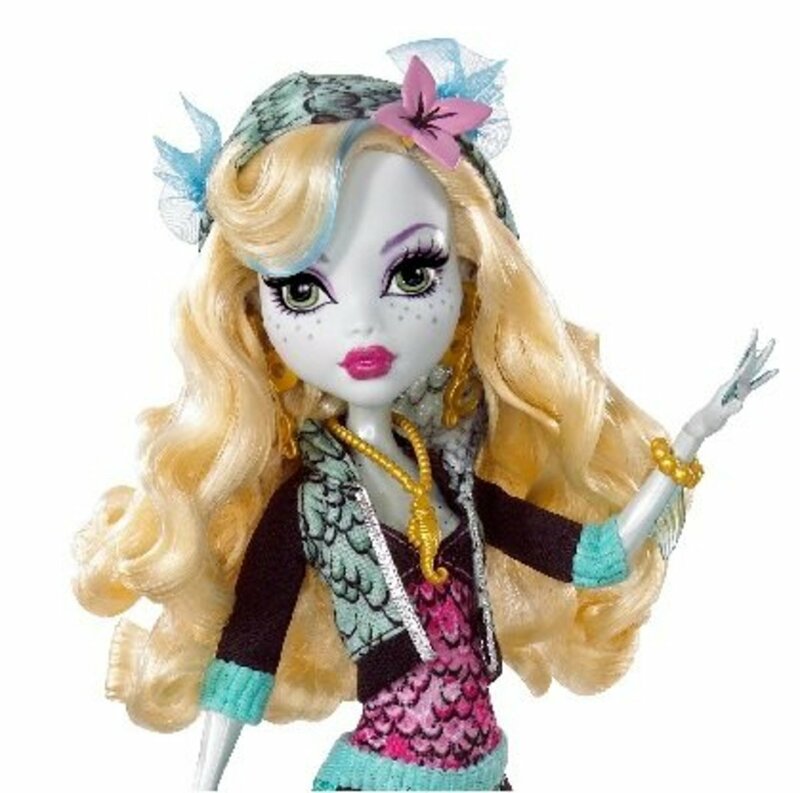 She is called a "prototype" as the first dolls were not marked on either the head or body. She is hard vinyl with a soft vinyl head and a fabric covered grill in the chest. Her neck turns and all joints work easily. Little Chatty Cathy had a mouth that did not move, but that did not stop her from talking a blue streak. With her lips only slightly parted it was hard to tell if maybe she was really doing the talking all by herself. My sister Celesa would pull her string and Chatty Cathy would start to speak one of her sometimes creepy phrases, all random supposedly. But I hate to count the times she said “I love you” when you need to hear it, or “I hurt myself" when you had a bicycle wreak” she did have a "talking Tina" quality about her sometimes. All my sister would do was pull the chatty ring of hard white plastic that protruding on a string from Chatty’ s upper back would be pulled. This amazing plastic Chatty ring was attached to a cord of string that was connected to a very small phonograph player inside Chatty’ s torso. The Chatty Cathy voice record was driven by a remarkably metal coil that was wound by a child like me or my sister pulling Chatty’ s string. 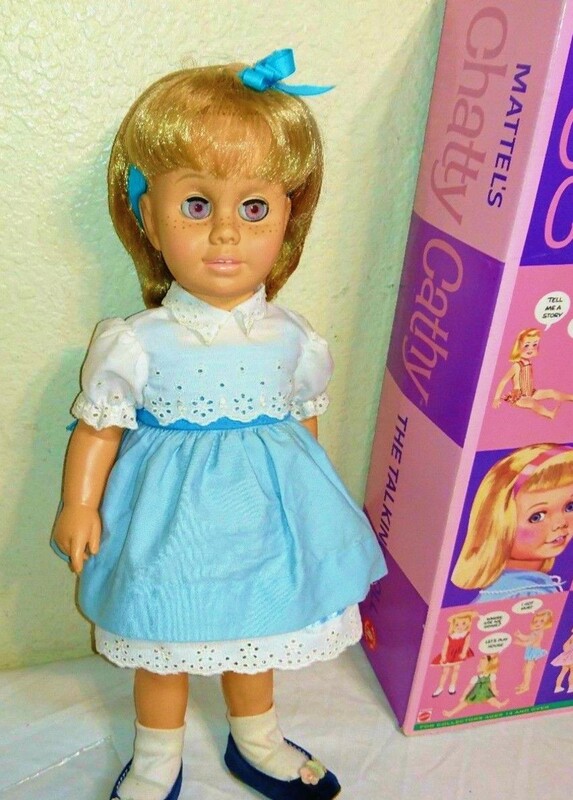 The Mattel Toy Company made the Chatty Cathy dolls of soft vinyl. 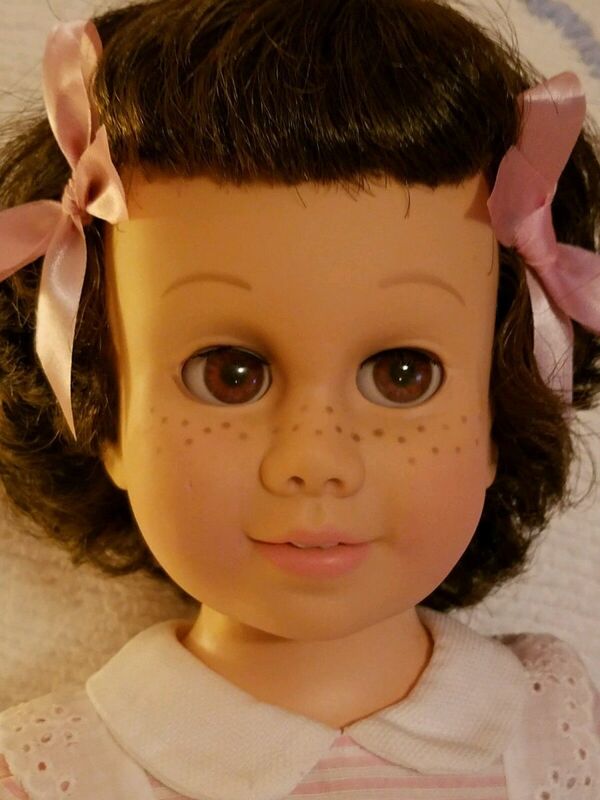 Almost all the Chatty Cathy dolls have a soft vinyl face, with the exception of for later dolls that were made in the year1964, most of these have a hard plastic face which can crack very easy if she had not be stored in a climate controlled environment most of her existence. 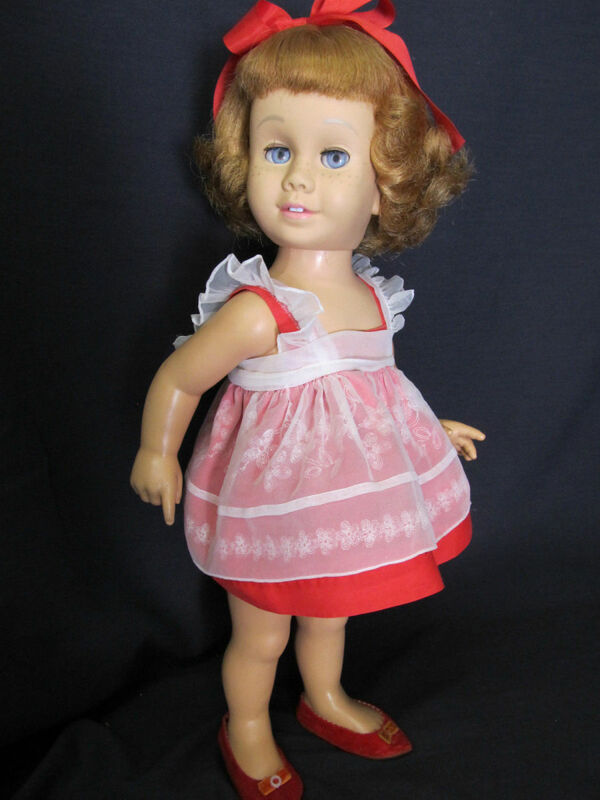 Most doll collectors generally prefer the older soft vinyl face Chatty Cathy models all the Chatty Cathy dolls are 20 inches tall, and came with phonographic voice boxes. In they year 1960 when she was released for the up coming Christmas season Chatty Cathy was an amazing success because soon four different bodies of the original prototype Chatty Cathy were created. The 1960 line of Chatty Cathy's had blond or brunette, and still had the Mamie Eisenhower pageboy bobby-cut hair. She also came with blue or brown eyes and she still had the cloth covered speakers like the prototype. 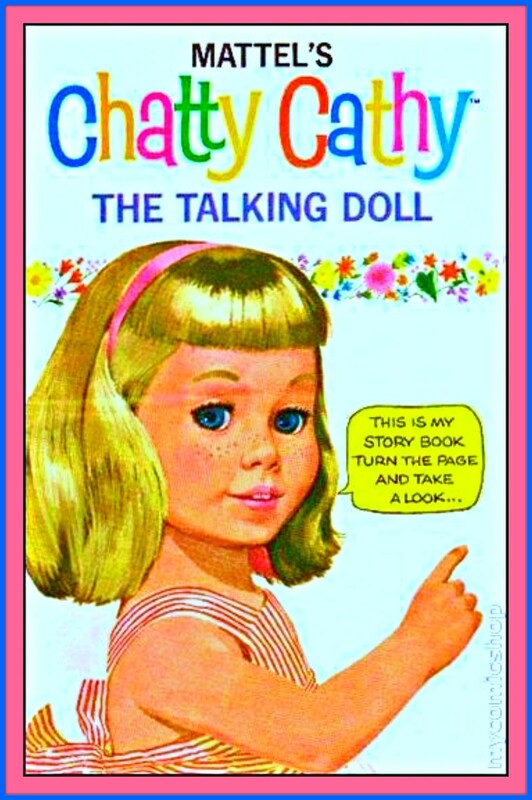 The Mattel Toy Company based all of their talking Chatty Cathy dolls made in the 1960s on the pull-string mechanism they created. Chatty Cathy's mechanism made by Mattel was truly an innovative design. The built in phonograph turntable allowed Chatty Cathy to say a phrase that are suppose to be completely random when ever the pull-string with the white plastic ring on the end was pulled by the owner. The internal phonograph system consisted of a record needle, a very small turntable, and the record itself with all of Chatty Cathy's comments recorded in the groves. 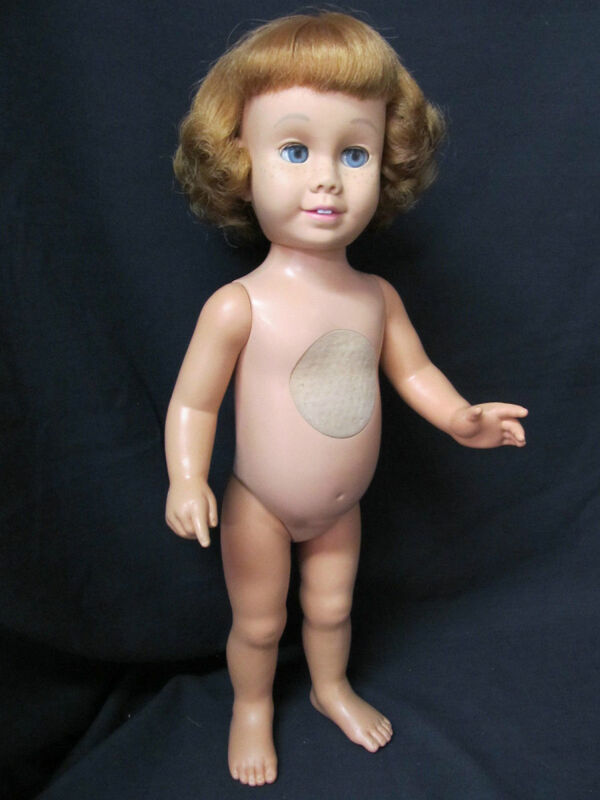 There are speaker holes on the vinyl chest of Chatty Cathy dolls, with flesh color grill cloth over the holes on the early models. This hole setup act as a speaker for the sound of the words to come out clearly from the phonograph record. Tragically over the span of years, the rubber governor belt grows brittle from age and breaks, rendering Chatty mute because the ingenuous Mattel phonograph system becomes nonfunctional due to the broken governor belt. Doll & clothes are both very clean with no fading, rips, tears or damage, riveted snap closures on sun suit & pinafore are intact. Original red velvet Chatty shoes have some wear, the toe bows are a little faded. 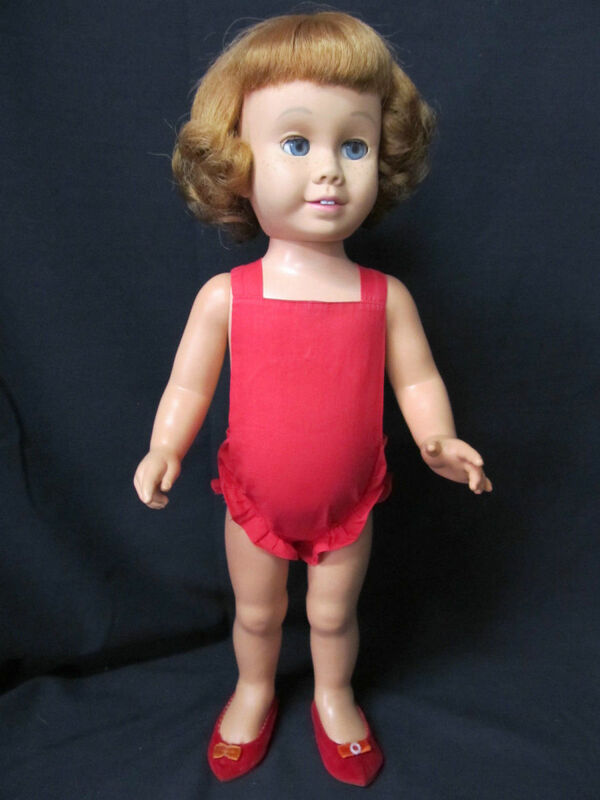 My sister’s first Chatty Cathy doll had a nice red velvet headband that perfectly matched her red sun suit. 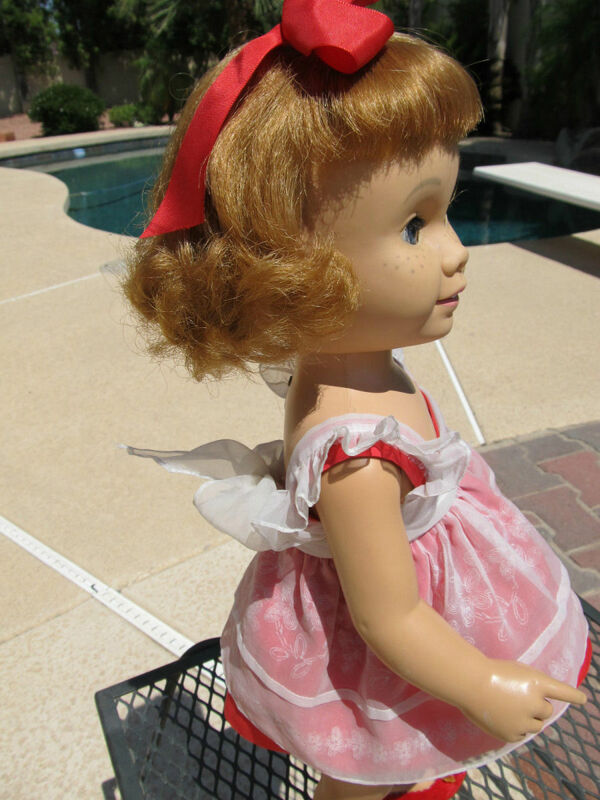 Bing a tasteful doll from 1960 she came also with a matching red pinafore, and an overskirt of white voile. Needless to say her red shoes matched the exact color of her sun suit and she had starched white socks that kept their shape. In 1960, June provided the speech for The Mattel Toys original Chatty Catty Doll, she also was the voice of the possessed "Talky Tina" doll in the "Living Doll" episode of the Twilight Zone that aired in 1963. 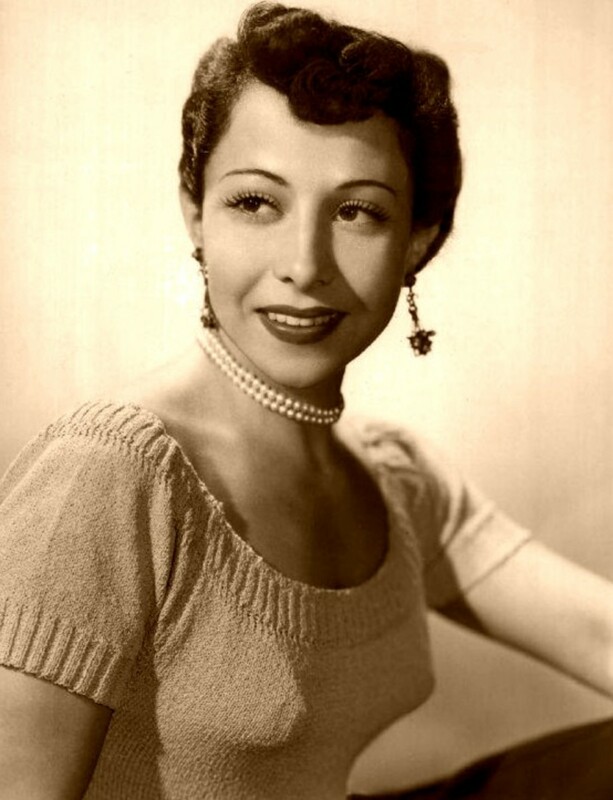 June Foray the famous voice and character actress, did the voice for Chatty Cathy, she also later was the voice for "Talking Tina" on the "Twilight Show" Chatty Cathy's voice record and phonographic player was designed by Jack Ryan, he was the amazing head of the Mattel research and development department. Jack Ryaln is also know as the designer of the Barbie Doll which he modeled his design for her after the Bild Lilli made in Germany doll. She is a rare brunette, with a bob hair cut, she has matching brown eyes. She is in her MINT original pink pin striped outfit with right shoe missing. She has Excellent Hair in Original set. Lashes also Excellent. 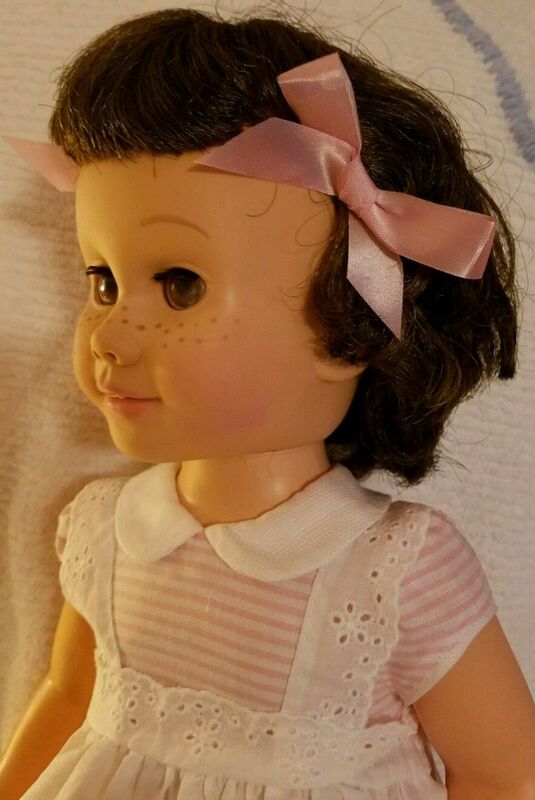 This vintage Chatty Cathy has excellent hair in original set, and her lashes are also excellent. Freckles and face paint excellent original. Head limbs same color, which is always a plus. .
What a nice think head of hair this 1961 Chatty Cathy has. they just do not make dolls like this anymore. Original Chatty Cathy Dress tagged Nursery School stock #695. Original Dress tagged Nursery School stock #695. Originally she said 18 phrases, but she doesn't speak now. 1960s Chatty Cathy Advertisement, "Just Pull the Chatty Ring"
Early 1960s Chatty Cathy Advertisement, "Just Pull the Chatty Ring" I can say 18 different phrases, I can talk to you. 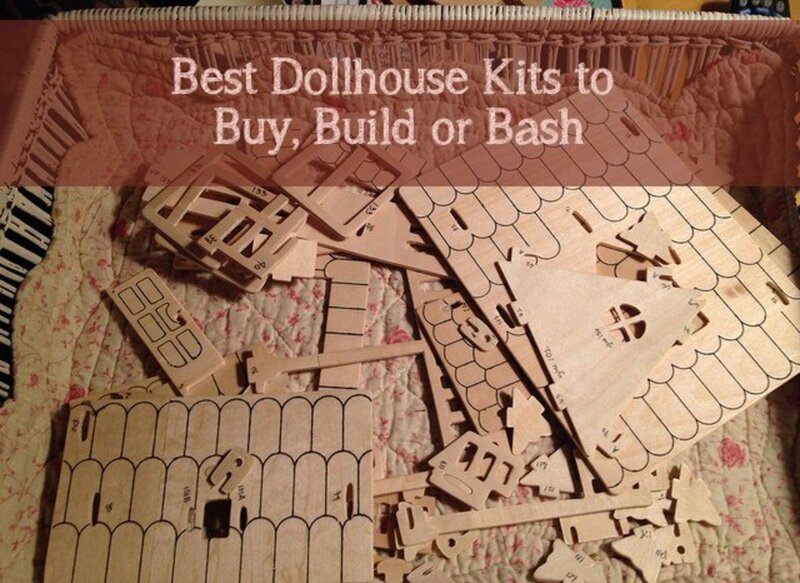 I had one when I was young and enjoyed playing with her. I have no idea what happened to her. It seems strange to see one after all these years. I didn't realize you could get a brunette one. Now when I look at her, she seems rather spooky. I guess times have changed and so have what a doll is expected to look like. I also didn't realize they had started to make them again. Interesting insight into a doll I once loved.